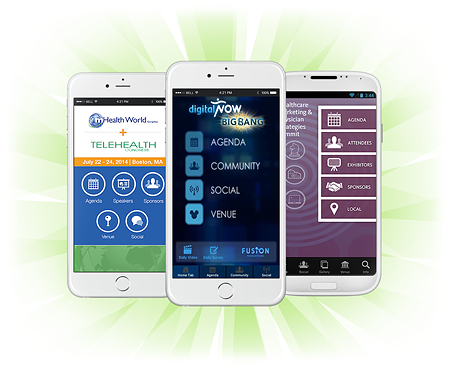 Launch amazing healthcare apps to promote your brand and engage your patients. 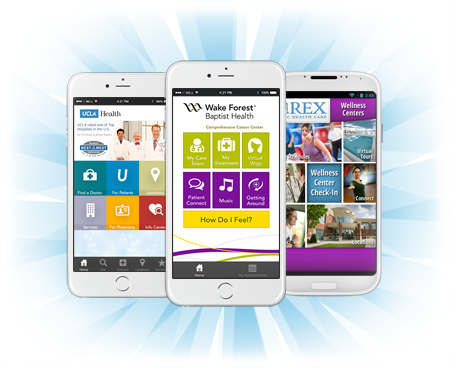 You can quickly customize our pre-built hospital apps – launch your app in days! Or, take advantage of our skilled UI design team to quickly prototype a unique app. Use a secure, role-based CMS to manage all apps, stream content, and push notifications. You have 100% control over your healthcare apps – no programming required! 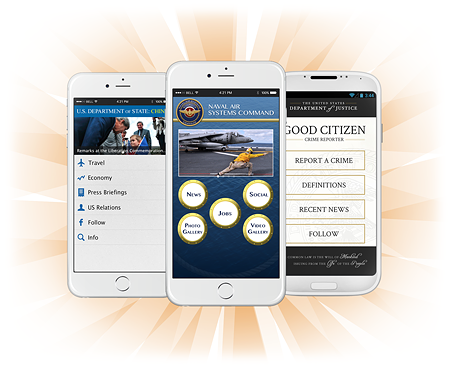 Engage citizens with user-friendly, native apps for iPhone, iPad, and Android Smartphones. Empower your mobile workforce – seamlessly integrate your mission-critical systems. Launch and manage all your apps securely from the cloud. Implement reliable user authentication scenarios in your apps. Take control over your agency’s mobile app strategy – no programming required! Launch quick, cost-effective event apps that provide a great user experience. Custom-design your event apps to boost your brand and deliver unique value. Help your attendees follow the day’s events; find their way around, and socialize. Implement a decentralized, cost-effective, multi-app strategy for your organization. Unlimited potential for app cloning and reuse; no programming required! To start saving cost and time building your custom native apps, request a MobileSmith Platform Demo today! We would be happy to help you design your first app!